If you are searching for a home for sale in Sarasota, FL, you are probably looking for waterfront property. Sarasota Florida is all about the water. The barrier islands of Casey Key, Siesta Key, Bird Key, Lido Key and Longboat Key offer a variety of options to buyers desiring a resort lifestyle. You can choose from single family homes, condominiums, villas or town houses. Land is expensive on the islands if you plan to build. You might just find a tiny beach cottage to raze if you do want a new home. Some of these older beach cottages are priced just at land value. Keep in mind that waterfront land is premium and even though prices have adjusted, Florida waterfront property commands a higher value than mainland property. A very private key with little traffic and no traffic lights, Casey Key homes for sale currently total 51 in the Sarasota MLS. There are a few small condos here converted from "mom and pop" type motels. Siesta Key is known for its world-famous beach. Named to Dr. Beach's Top Ten Beaches List numerous times, the quartz white sand is cool to the touch. Currently the MLS lists approximately 166 single family homes for sale, 23 villas, 362 condos and 17 townhouses. Siesta Key is popular with families all year. Bird is home to one of Sarasota's most active Yacht Clubs. The Bird Key Yacht Club offers residents a beautiful clubhouse, marina and outstanding recreational activates. Homes for sale in Bird Key now total 43. Views from these waterfront homes are incredible. Often called a European style beach community, Lido Key's location to world famous St. Armands Circle is awesome. Play at the beach all day and play on the Circle in the evenings. Rainy days -- shop til you drop at this fabulous outdoor shopping arena. Many of Lido Key's condos offer outstanding views of the Gulf of Mexico and Sarasota Bay. Many people who visit Longboat Key have been coming for decades. Longboat Key is home to the prestigious Longboat Key Club. Behind guarded gates are several luxury condominium buildings offering top amenities sought by buyer's of luxury Sarasota FL real estate. Homes for sale on Longboat Key range from condos, villas, town houses, single family homes. Prices have adjusted and buyers are fining outstanding bargains on this pristine Key. Currently there are approximately 150 single family homes, 392 condos, 17 villas, and 13 townhouses for sale on this barrier island. 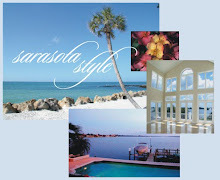 Whatever your lifestyle, Sarasota FL real estate has a perfect home for you. The cultures of Sarasota are very different from many other Florida cities offering a symphony, ballet, opera, theater and outstanding art galleries. Sarasota has outstanding schools too. Give the John Allen Team a call at 941-544-6467 for some real estate guidance. We'll explain your options for purchasing a home for sale in Sarasota.